Condition : Has character, working (samples and plays back). Condition : Fair, a few scratches/marks. The drive powers up but doesn’t always load properly. Main drive band for spindle ideally needs replacement. The Akai S612 sampler isn’t the most lovely, doesn’t have the quickest sample loading, takes the fickle ‘Quick Disk’ media format (and that’s only if you have the MD280 external drive), and takes up a bit of space in the old rack setup. At 12-bit (4kHz-32kHz) sampling, there is very fast degradation as you walk on down the octaves to increase sample time. Akai was in the gear race like everyone and wanted to get something out quickly. 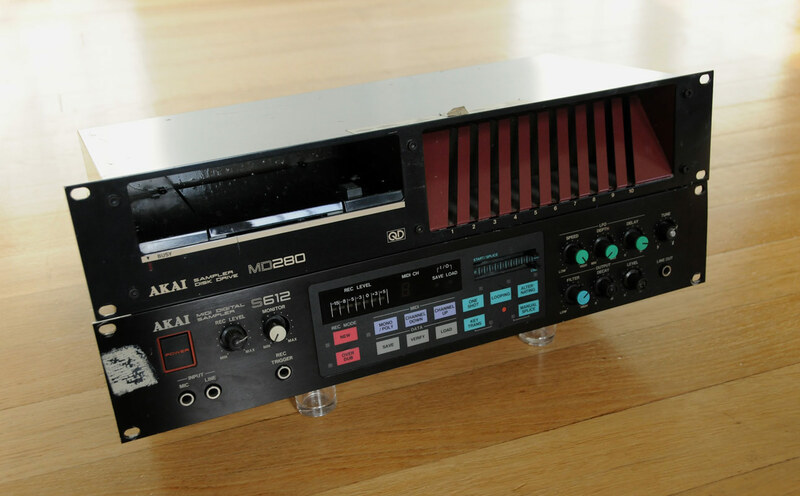 In late 1984 through 1985, it was Akai’s flagship and one of the first reasonably-priced, production digital samplers to hit the market. 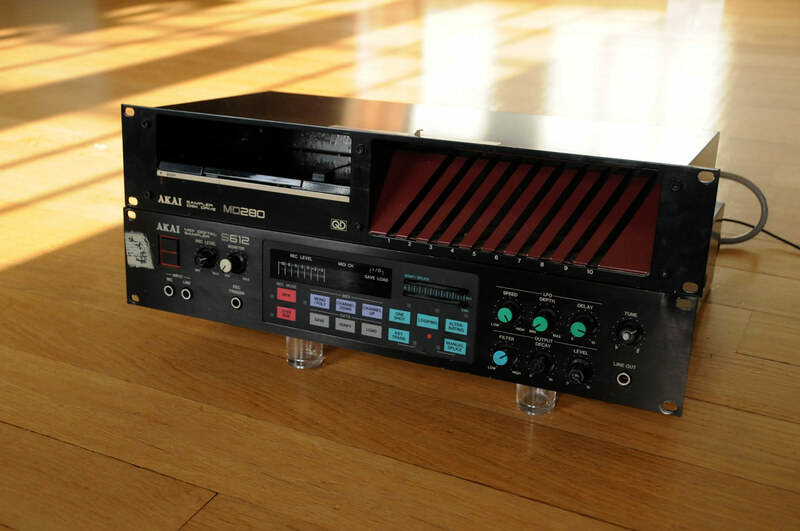 As the race intensified with other companies coming up with new technology practically every month, Akai soon made way for the venerable S900 to replace the obsolete S612. So why would anyone even bother with such a beast? Because Akai wisely employed a fantastic LFO modulation system and filter as well as two slider-controlled start-stop splicing actions. The looping with alternating playback could be activated on the fly and the sound itself, while underwhelming to those seeking digital perfection, by accident wore a gritty and artificial character all of its own. Overall, it’s a fun, quirky unit.